Get ready! It’s time to start preparing for 2019! Are you on track towards achieving your goals set at the beginning of this year? 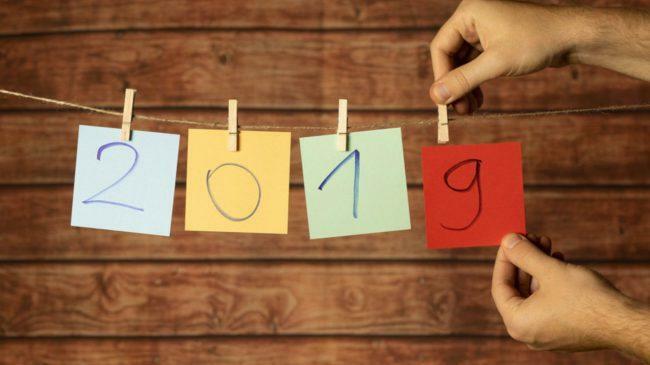 This article is part of our ‘Preparing for 2019 Series’ and focuses on taking a snapshot of how life is for you right now and whether you’ve made the most of your time this year. If you have felt stuck in 2018 and want to make 2019 more productive, take advantage of the next few months to mentally refocus. Many of you I know are disappointed by the progress, or lack of, that you’ve made in 2018. Life seems as though you do little more than deal with problems. It can be financial problems, loss of a job, career going nowhere, serious health issues, loneliness, boredom, relationship difficulties or just a sense of angst about your life and direction. Often you ask yourself “Is this all there is?” It’s tempting to close your eyes and avoid dealing with it, but you can’t. Now it’s time to take the steps to change your life and bring about improvement. Make the decision to finish this year strongly and be ready to blast out of the blocks in the New Year which is fast approaching. You owe it to yourself to plan your life just as thoroughly as you plan for Christmas. Your starting point is to review your progress against your short-, mid- and long-term goals and if necessary to update them. Many of you have given up even making New Year Resolutions to provide you with the goals to follow for the rest of the year. You have concluded traditional Goal Setting DOES NOT Work! You would be backed up by statistics. 60% give up after 6 weeks. The most popular New Year’s resolution every year is to lose weight and has a whopping failure rate of around 95%! Let me get something straight right now. Goal setting isn’t easy and I don’t have a magic wand which I can wave and then low and behold you have achieved your goals and life dreams in the blink of an eye. It takes a lot of time and commitment but with the help of a Life Plan you will have an incredibly powerful strategy which will guide you to achieving your goals once and for all. In my life coaching business I see it as my role with clients to help them improve performance, solve problems, make better decisions, learn new skills, and reach their goals. In its simplest terms Coaching isn’t telling someone what to do–it’s helping them up with his or her own answers by asking the right question at the right time. So, to get you started on reviewing your progress here are some questions that you need to answer for yourself. They are designed to clarify your current reality. What were your worst moments in the last 365 days? What were your best moments in the last 365 days? What significant events took place in this year that were negative? What significant events took place in this year that were positive? What did not go well this year? What went well this year? What things do I need to do less of in the next year? What things do I need to do more of in the next year? What things do I need to stop altogether in the next year? What things do I need to start doing in the next year? What event or experience represented the “worst” of the year, and why exactly? What event or experience represented the “best” of the year, and why exactly? What important goals did I fail to achieve, and why? What important goals did I achieve, and what difference did they make? What were my biggest failures? What were my biggest triumphs? What regrets do I have? What am I most proud of? What opportunity did I pass up? What developments have I made in the past year? What was the worst news I received? What was the best news I received? What was the single most challenging thing that happened? What was the single most rewarding/exciting thing that happened? What was the single biggest time waster in your life this past year? What was the one thing you spent time doing that proved the most productive for you this year? What were your worst personality characteristics e.g. lack confidence, low self-esteem, and feeling down? Which of my personal qualities turned out to be the most helpful this year? What do you find most challenging about your life? What do you find most rewarding about your life? On a scale of one to ten where are you in the following key areas? This is your starting point. You can’t move forward until you have clearly determined how your life rates right now. Taking time to do a snapshot of this and look back over the 10 months of this year will undoubtedly get you ready and prepared to make 2019 your best year yet. So, do yourself a favour over the next week, take time out to reflect on your life and progress, and then follow through and work on your life plan, section by section. You have a lot of time before the New Year begins and I urge you not to throw it away. Get on with planning your life so that as 2019 begins you are focused on taking the right actions to achieve some big goals. To help you out, I have opened my Single Page Life Plan training course up. Until January 1st you can access all the training videos completely FREE. Here is the link to the first section to support you in reviewing your life as well as the link to the free video training offer. P.S. My Free Discovery session will help anyone to get unstuck and find the motivation to get to wok on their life plan. Do it soon, make sure you’re ready for the start of 2019. Check it out!